Blogging is hard work. There’s no doubt about it. To have a consistent readership, you need consistent content. But what happens when life happens (commitments with our kids, our families, maybe another job)? It becomes difficult to churn out quality content, and our blogs take a hit. To create blog content like a champion, you need to strategize, plan, and think creatively! We’ve all been there. 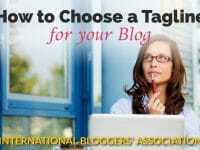 We have so many great ideas for our blog that never seem to make it into post form. Other commitments in life have gotten in the way, and now our blog is suffering, deadlines and posts are piling up, and our camera is about to burst with all the great pictures we’ve been taking. So how do we fix this giant mess? Like any real champion, get back to the starting block and come up with a plan. So where do we begin? Go back to basics and look at your categories. Review your blog categories to create blog content like a champion. 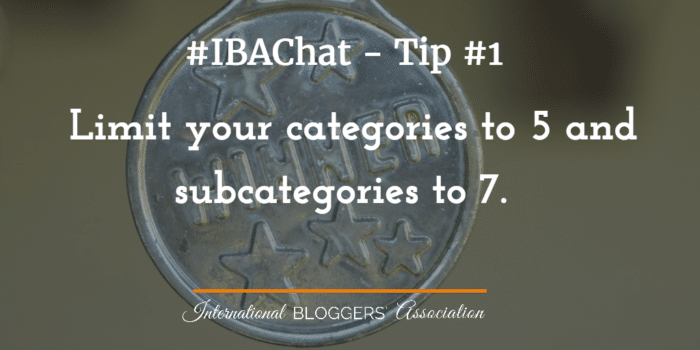 The best rule of thumb is to use a 5:7 ratio – Limit your categories to five (5) and your subcategories to seven (7). If you have more than five categories, review your vision and your blog’s why— think about what information you’re trying to convey. Maybe make some categories broader to encompass any extra categories as subcategories. The magic of using a 5:7 category ratio is that this instantly gives you over 30 days of post topics (35 to be exact) which can come in handy when planning out your content calendar. (We’ll discuss this next). Five categories are also easier for readers to consume. It’s less overwhelming as they navigate your website, and it’s less overwhelming for you to work with every month. Next, let’s look at our content calendars. 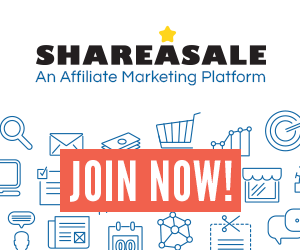 They’re a great tool to plan out your content. You can make one very easily in Excel or even just use a traditional style calendar. 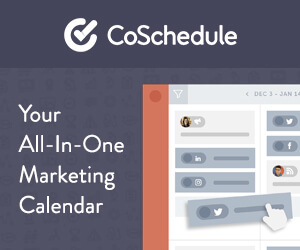 If you’re not familiar with a content calendar, quite simply it’s a calendar that lists your blog posts so you can see everything at a glance and plan your schedule accordingly. How can we up our content calendar game, so we’re creating content like a champion? 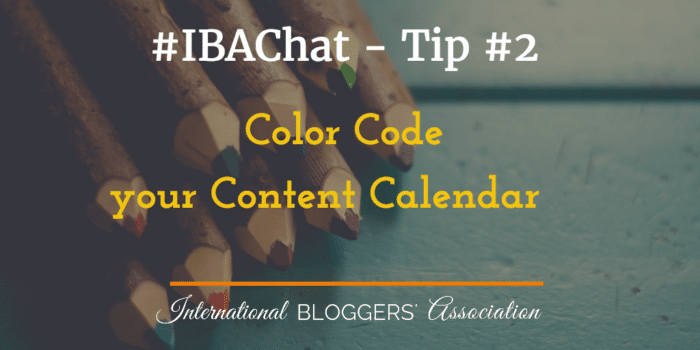 By using color to create your content calendar! Did you know that the left side of our brain processes systematic information: schedules, planning, dates, etc., But the right side of our brain processes color? So if we color code something, it helps both sides of the brain work together and supercharges our power as bloggers! By color coding the different categories, it will help you view the information more quickly process the highlights and keep important information front and center. So what happens if you have no time to write? Plan out your game plan. Limited time to plan is probably the biggest problem facing bloggers. Your ideas seem to come way faster than you can possible complete them. What is the solution to create blog content like a champion? The key is to be proactive instead of reactive. Just as a champion athlete will plan out their plays or visualize their run or winning serve, we, as bloggers, need to plan out our every move via content calendars and outlines. 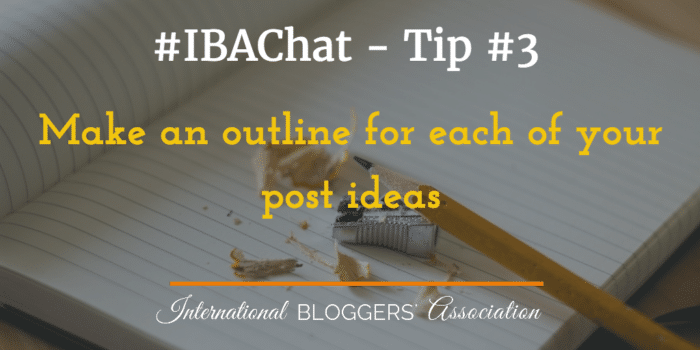 Once you have your content calendar for the month completed, then look at each post idea and write out an outline. Use the journalist technique known as the Five W’s and H: Who What Where When Why and How. Fill these points in as best you can. If you need to do more research on something, immediately schedule that research time into your planner. If you need to buy supplies for cooking or crafts, immediately schedule that into your planner. Note what you’ll want to take pictures of and schedule that into your planner. If you strategically think ahead and attack each post in small bits, then it won’t be as monstrous when you’re short on time and approaching a deadline. Becuase, most of your needed legwork is already done! One of my favorite things about watching great athletes is their unparalleled ability to think fast on their feet resulting in surprise plays that tie a game or the winning goal in the final seconds of a match. 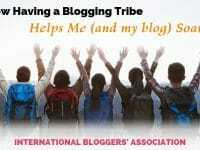 How do we use creative thinking as bloggers to make the most of our content? 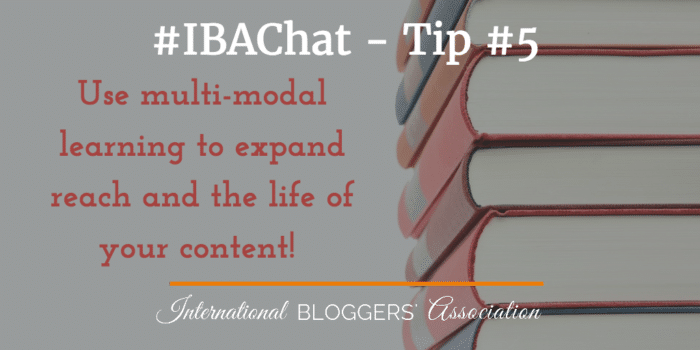 Take advantage of multi-modal learning to expand the reach and the life of your content! What is multi-modal learning? Multi-modal learning is gleaning the same information from multiple modes/formats. When is presented in various modalities or formats you are more likely to retain information when the information. Many studies have proven that. For example: reading a blog, hearing a podcast, watching a video. Say we’re writing a post on our fabulous chocolate chip cookie recipe. There are a few ways we can approach it. In each version, add a little something extra to your story so your audience can glean something new while still digesting the main content which is the recipe. Podcast: Share the recipe again, but this time also share your favorite memory of eating or baking the chocolate chip cookies and why it means so much to you. By using the same content in multiple ways over various mediums, you’ll reach more people and engage with your readers in a deeper, more meaningful manner. 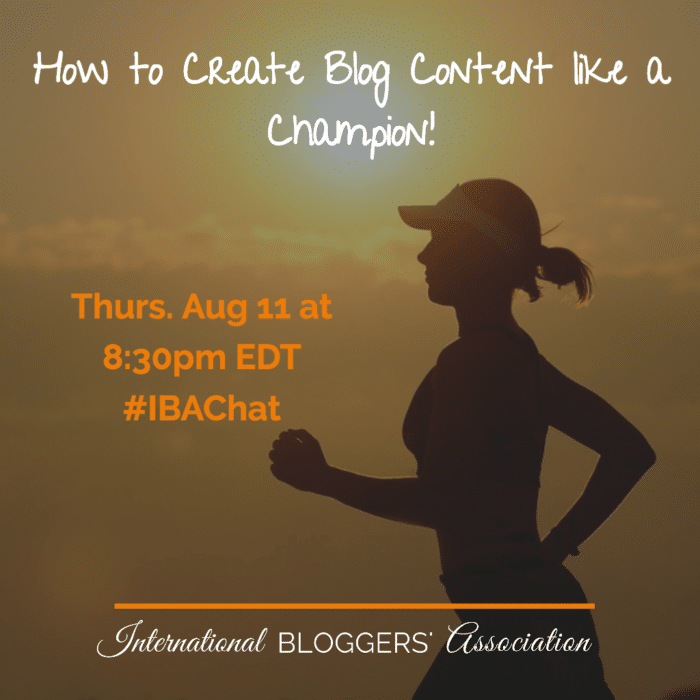 Join us tonight, as we discuss how to create blog content like a champion further in our #IBAChat Twitter Party! 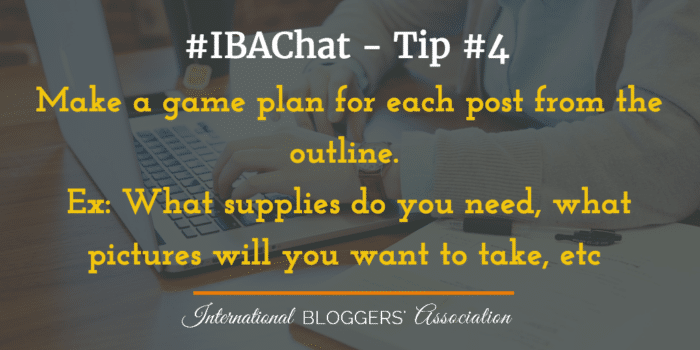 f you missed our #IBAChat, never fear! You can check out our transcript here or view our slideshow at the end of this post. 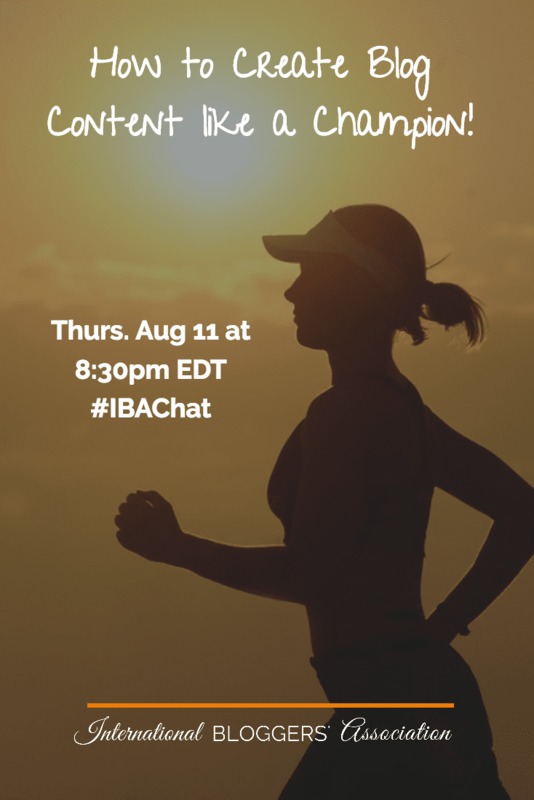 Mark your calendars for our next chat “How to Create a Gold Medal Blog” this Thursday, August 18,at 8:30 PM EDT.